Kidosphere activities are designed for toddlers and kindergarteners to develop their motor, language, cognitive and many other key skills to achieve developmental milestones. These activities are free to use. Download them, print out and give it to your kids. 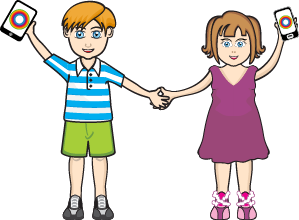 Kidosphere plans to provide quality printable activity sheets. We will be adding more activities for different categories. We are doing this on an experimental basis. Please join us in Facebook for announcements and give us your valuable feedback. Activities for the week – Have fun with Shapes! Kidosphere logo and "Insanely Beautiful Apps for Kids" are trademarks of Apptility Software Private Ltd.